Lydia Denworth’s third son, Alex, was nearly two when he was identified with significant hearing loss that was likely to get worse. Denworth knew the importance of enrichment to the developing brain but had never contemplated the opposite: deprivation. How would a child’s brain grow outside the world of sound? How would he communicate? Would he learn to read and write? An acclaimed science journalist as well as a mother, Denworth made it her mission to find out, interviewing experts on language development, inventors of groundbreaking technology, Deaf leaders, and neuroscientists at the frontiers of brain plasticity research. 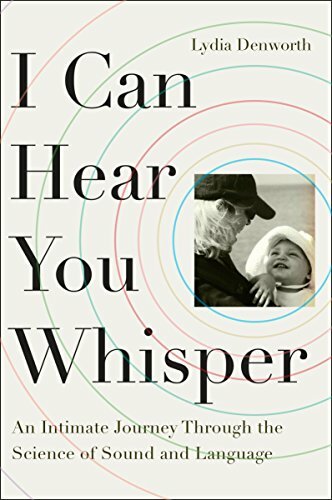 I Can Hear You Whisper chronicles Denworth’s search for answers—and her new understanding of Deaf culture and the exquisite relationship between sound, language, and learning.